6601 Blue Oaks Boulevard has a Walk Score of 44 out of 100. This location is a Car-Dependent neighborhood so most errands require a car. This location is in the Sunset West neighborhood in Rocklin. Nearby parks include Aldo Conrad Pineschi Sr Park, Night Ridge Park and Central Park. Explore how far you can travel by car, bus, bike and foot from 6601 Blue Oaks Boulevard. 6601 Blue Oaks Boulevard is in the Sunset West neighborhood. 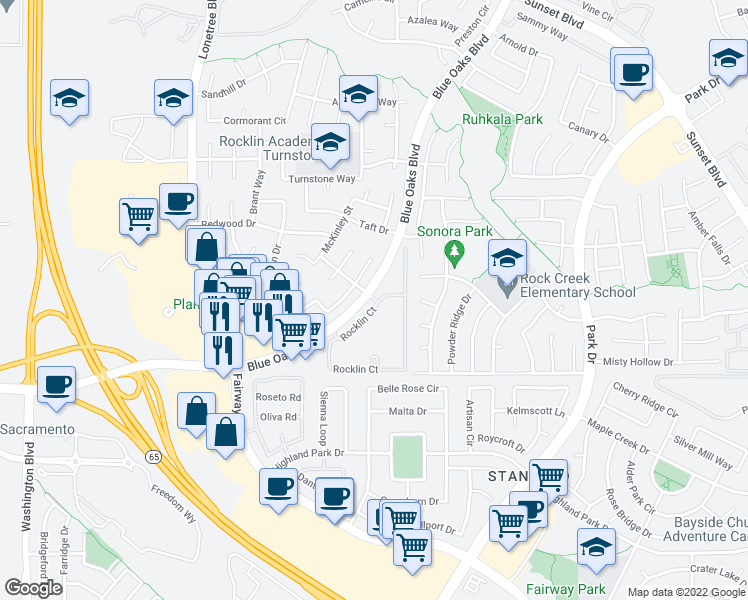 Sunset West is the most walkable neighborhood in Rocklin with a neighborhood Walk Score of 47. BRAND NEW home in Rocklin! 4 bedroom + Bonus Room, 3 full bathrooms!